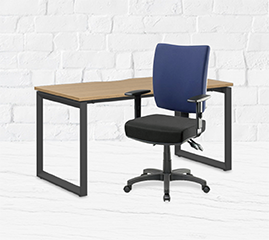 At Officeworks, we aim to deliver you the very best products at everyday low prices. If you are not happy with your purchase from Officeworks, you can return or exchange it, or have it repaired, or a service cancelled, in accordance with the terms below. A government issued form of identification is presented at the time of the return (for products with a value greater than $50). This is used to confirm your identity, your name and postal address. No details such as license number or date of birth will be recorded. You must provide proof of purchase to make a claim and Officeworks reserves the right to decline an exchange, refund or repair where a fault is caused by misuse or neglect. For Prepaid Business Services, you may cancel a service which you have activated and claim a refund for unused services if there is a problem with the service. Requests for the cancellation of a service may need to be submitted to the service provider. If you experience activation problems with Prepaid Cards or Special Activation Codes provided by third parties, we recommend that you contact the third-party service provider for assistance in activating any credit entitlement, as Officeworks is unable to independently determine the validity of these codes. Many manufacturers have dedicated support centres designed specifically to deal with issues in relation to their products and may be able to provide a quicker assessment of, and remedy for, any issue with your product. You may, therefore, prefer to contact the manufacturer directly, although you are not obliged to do this. If at any time you are not satisfied with the manufacturers remedy in relation to your legal rights, you can contact your nearest Officeworks store. Officeworks may also return the product to the manufacturer to determine the nature of the problem. All Officeworks purchases can be returned at any Officeworks store Australia-wide. Refunds can only be paid in the same tender as the original purchase or refunded to the account used to pay for the item in the case of a 30-day business account holder. Where a credit card attached to an original purchase cannot be produced, the refund will be processed to an Officeworks Gift Card. Where the original purchase was made via Afterpay, you may return the purchase in-store or by getting in touch via our Contact Us page. Refunds will be processed to Afterpay only, and not to credit card, cash or gift cardl. Once your order has been returned in-store or picked up by a returns driver and receipted at our Customer Fulfilment Centre, we will send notification to Afterpay of your return. For more information, please contact Afterpay on 1300 100 729 or visit the Afterpay website https://www.afterpay.com/en-AU/terms. Where the original purchase was made via PayPal, you may return the purchase in-store or by getting in touch with us via eBay Messaging or via our Contact Us page. Once your order has been returned in-store or picked up by a returns driver and receipted at our Customer Fulfilment Centre, we will send notification to PayPal of your return. Where the original purchase was made via Zip Pay or Zip Money, you may return the purchase in-store or by getting in touch via our Contact Us page. Once your order has been returned in-store or picked up by a returns driver and receipted at our Customer Fulfilment Centre, we will send notification to Zip of your return. Refund payments for purchases made using Zip Pay or Zip Money can only be paid back into your Zip Pay or Zip Money account. If you opened a new Zip Money account for your Officeworks purchase and paid Zip an account establishment fee, the account establishment fee will not be part of your Officeworks refund. Officeworks takes the privacy of customer data seriously. Please be aware that data (including, but not limited to, images, music and video) may be lost during the repair process of electrical and electronic products. It is the responsibility of the customer to ensure that all personal data is deleted before the product is returned to Officeworks. Information on how we collect, use and store personal information can be found here: https://www.officeworks.com.au/information/policies/privacy-policy. Personal information collected from you at the time of the return will only be used for the purpose of verifying and processing the return.